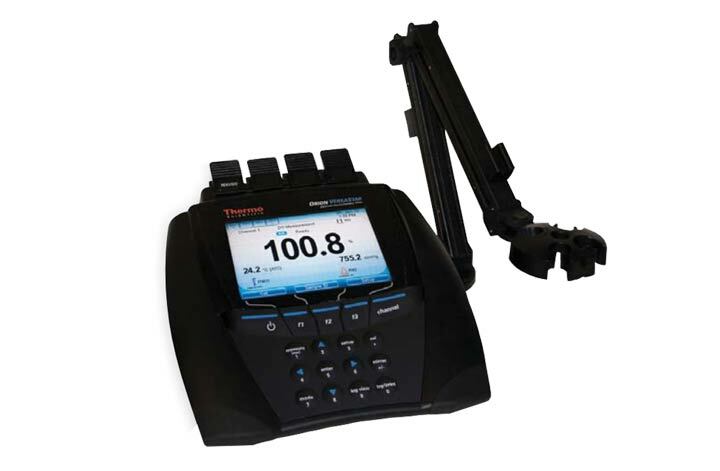 The Thermo Scientific Orion™ VERSA STAR™ Benchtop Meter Without Modules features a large, colour graphic LCD display which shows readings, connections, time, date, sample ID, user ID and calibration information. Designed for ease of use this meter includes plain screen prompts and soft keys for ease of selection. The nonvolatile memory holds up to 2000 data points all with time and date stamps, when its time to download readings the transfer of data is a simple process.